Flow 6 is the Swiss knife bike everyone needs in his garage. Commuting, transporting goods, doing week end work-out, going to work or do shopping, this bike is designed for all of that. With its relaxed low and slopping geometry, super comfy saddle and its mountain bike type raised handlebar, you will immediately feel at home on the flow. Full fender and 2 faces flanged crankset make sure you arrive at your destination clean. Don't be fooled by its price. Cheap doesn't mean basic. 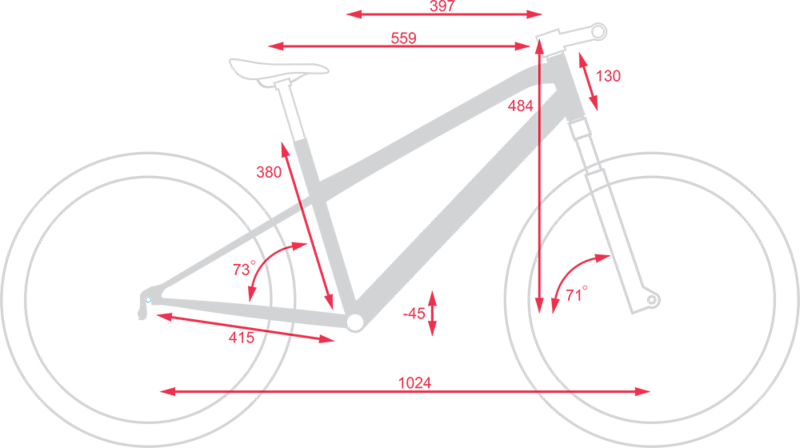 The frame has the Asama 2-1-1 technology to improve comfort and lateral stiffness as well as G-Control geometry to enhance bicycle control and riding experience. It comes equipped with the new Shimano Tourney TY 300D gear train and even has a Mega-range cassette to help you climb the steep slopes you might face along your trip. You don't fancy commuting alone and think it’s much more fun riding with friends. We have you covered with the super strong tubular rear carrier and the foot pegs supplied with the bike. The double wall rims with 36 spokes are designed to withstand these heavy load. It comes with 2 sizes: 24" and 26" to fit everyone. Name : FLOW 6 26"
ALL YOU NEED IS HOPPING ON A BIKE!